Subscribe to WorshipLibrary.com today and gain immediate access to the great minds in worship scholarship, worship leading, and worship renewal. Your subscription will open a vast archive of . . .
Thousands of scholarly and applicational articles covering a wide range of topics including Sunday worship, the arts in worship, special services, seasonal worship, and the ministries of worship. Foundational materials that describe and explain the worshiping church’s biblical and historical heritage. 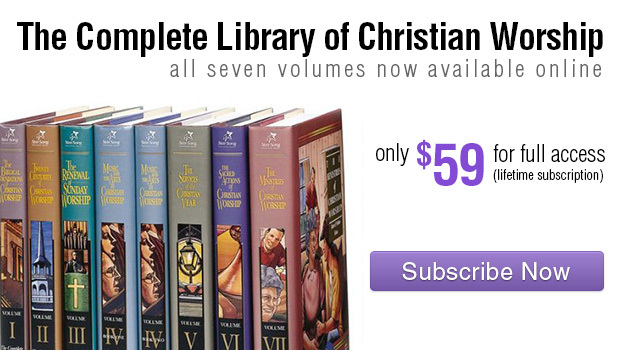 The full content of the Gold Medallion Award winning Complete Library of Christian Worship. Key resources from texts and publications representing over hundreds of publishers. The worship practices of more than 60 traditional and contemporary denominations, ministries, and fellowships – each written by a representative from that group. The works of hundreds of scholars, ministers, musicians, and worship leaders. 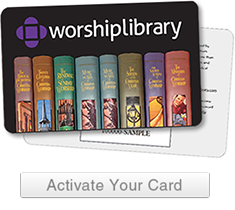 WorshipLibrary.com is the perfect online study center for . . .
Only $59 for a lifetime subscription.